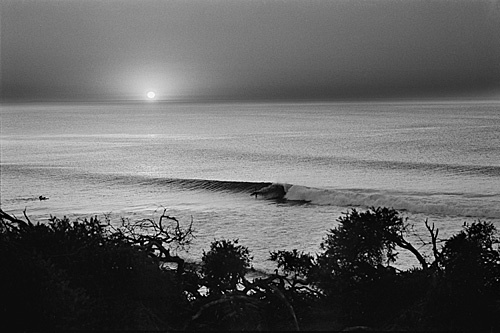 WaterMarks specialises in fine art, film-based, black & white images from Barrie Sutherland's fabulous portfolio of pioneering surfing photography. From dramatic surfing action to sculptured seascapes and the surfers, Barrie captured the unique surfing culture of the 1960s. Each image is protected by the © Copyright Act 1968 (Commonwealth) - copyright infringements will be pursued under civil law. For your protection, our prints are signed by the photographer and issued with an authentication certificate. Our images are printed on fine art archival cotton rag which has a specified life of 150 years plus. Like any investment in art, prints need to be managed properly to ensure they will conform to the manufacturer's specifications. Check our guidelines.